The second tranche of the so called “Health Care Homes” (HCHs) trial started enrolling and providing services [grow_thumb image=”http://telecareaware.com/wp-content/uploads/2017/12/Health-Care-Homes.png” thumb_width=”150″ /]yesterday (1st December 2017) in Australia according to Australia’s Department of Health. HCHs are existing General Practices (GPs) or Aboriginal Community Controlled Health Services providing a more systematic, coordinated care for people with chronic conditions such as diabetes, heart disease and respiratory problems. Patients who have been assessed as eligible can choose to enrol on the programme at a HCH and a care plan is then developed covering care to be received from their GP/ Aboriginal health worker and nurses at the GP practice as well as specialists and allied health workers. Australia has seen a rise in chronic diseases with 50% of the population now having at least one chronic illness and 25% having at least two. The Australian Government believes that the GP led Primary Care system does not deal well with chronic diseases where patients often need services from multiple professionals working in different parts of the healthcare system. The HCH model is expected to reduce the confusion, delays and costs by using a team based coordinated delivery of care. A key element of the HCH model is that the patient and all members of the care team (within the HCH and outside) have access to the care plan. A minimum requirement for software tools for creating and sharing the care plan have been defined and several companies have already produced software for this purpose. There has been some criticism of the way the software tools market has developed and the lack of independent guidance on choosing such software. On the whole this trial is of interest not just to Australia but also to all other countries since chronic disease care is a key issue around the world. HCH model is considered consistent with the models used in the UK and New Zealand. The stage one trial is due to run until November 2019 and has around 200 HCHs, of which the first tranche of 22 started in October 2017. A brochure on the HCH produced by the Australian Dept of Health is available here. While telehealth is still being tested in pilot projects in primary care in [grow_thumb image=”http://telecareaware.com/wp-content/uploads/2017/05/ATC-2017-banner.png” thumb_width=”150″ /]Australia it is beginning to be business as usual in secondary care, particularly for out patient services in rural areas and emergency care in regional areas, according to a review of this year’s Australian Telehealth Conference (ATC 2017) which concluded on Saturday. The article in Pulse+IT, puts the difficulty of getting telehealth into primary care down to the funding model in Australia. The much admired Australian health care service is a mixture of public and private health care with, broadly speaking, the publicly (Medicare) funded hospitals providing a universal free service and the primary care being provided by a Medicare subsidised private practice service. Until July 2014 telehealth services received incentives under the Telehealth Financial Incentives Programme. This programme was instrumental in introducing many telehealth trials through which the medical community learned the benefits and difficulties of telehealth first hand. Although these incentives have stopped, providers still receive higher Medicare benefits for approved telehealth services listed in the Medicare Benefits Schedule (such as video consultations between specialists and patients in telehealth eligible areas). However restrictions in eligibility for Medicare Benefits for telehealth usage have been shown to reduce the potential use of telehealth facilities (see our earlier item Should Australia review restrictions on use of telemedicine?). Topics discussed at the conference included Telestroke, Innovations (Augmented Reality, AI), delivery models and virtual care. Many of the presentations given at the ATC 2017 are available at the ATC website here. Should Australia review restrictions on use of telemedicine? Research carried out in Australia shows that a hospital with telemedicine facilities for outpatient consultations was using those facilities for only one in seven potential appointments. The retrospective study of outpatient appointments at Princess Alexandra Hospital in Brisbane showed that in a 12-month period 2.5% of outpatient consultations were carried out by telemedicine. Although 17.5% of the appointments were potentially viable via telemedicine, a policy of permitting telemedicine only for rural residents meant that, as the majority of the viable telemedicine consultations were with metropolitan residents they were carried out as hospital visits. This raises the question whether expansion of the use of telemedicine for hospital consultations in Australia should now be reviewed. 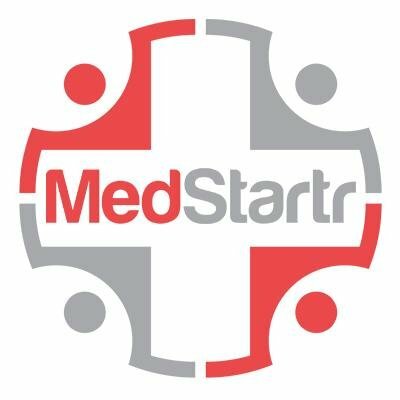 Currently there is a geographic requirement that the patient’s location must be outside of an Australian Standard Geographic Classification Remoteness Area 1 (a city) for a telemedicine consultation to be eligible for Medicare Benefits. The research has been published in the Royal Society of Medicine publication Journal of Telemedicine and Telecare. The author, Monica Taylor, also presented the findings at Successes and Failures in Telemedicine 2016 in New Zealand where she was awarded the best paper award. Telehealth has been confirmed as the way forward for sustainably treating the leading chronic diseases in Australia says a report published following a scientific study. The study, which analysed the effects of monitoring a mixed group of patients with chronic conditions using home-based telehealth equipment, concludes that use of home-based telehealth will not only reduce the hospital admissions but will also reduce the length of stay when admitted. The analysis of the data from the trial has shown that for chronically ill patients, an annual expenditure of AU$2,760 could generate a saving of between AU$16,383 and AU$19,263 representing a rate of return on investment of between 4.9 and 6. This is equivalent to a saving of AU$3 billion a year, says the report. The Australian study, carried out by the Commonwealth Scientific and Industrial Research Organisation (CSIRO) is reminiscent of UK’s Whole System Demonstrator (WSD), the world’s largest randomised control trial of telehealth. Although the Australian study is much smaller with a total of 287 participants over 5 sites (covering the 5 States) compared with over 6,000 in the WSD, the principles are similar. Due to the smaller sample sizes and the need to have patients connected to the National Broadband Network (NBN) the selection of patients was not random but other techniques were used to obtain statistically significant results. Patients selected had unplanned acute hospital admissions indicationg one or more of Chronic Obstructive Pulmonary Disease (COPD), Coronary Artery Disease, Hypertensive Diseases, Congestive Heart Failure, Diabetes and Asthma. The TeleMedCare Systems Clinical Monitoring Unit (CMU) was used as the home-based unit although not all features offered by the device were utilised in this study. The CMU system deployed in this study was developed in Australia, registered with TGA (Therapeutic Goods Administration) and has been extensively used and tested in previous trials. Typically patients would have some or all vital signs measurements scheduled at a convenient time, typically in the morning. These measurements were blood pressure, pulse oximetry to measure arterial blood oxygen saturation, ECG (single channel), lung capacity, body temperature, body weight and blood glucose concentration. In addition to scheduled times, patients could take their vital signs at any time. A full suite of clinical questionnaires was also available. The full report Home Monitoring of Chronic Diseases for Aged Care is available to download here. HCF, the oldest of the “Big Four” Australian health funds, has bought a 15% stake in telemedicine online doctor service startup GP2U. 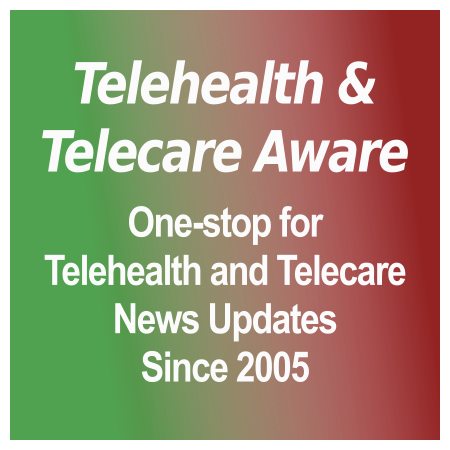 [grow_thumb image=”http://telecareaware.com/wp-content/uploads/2016/01/HCF-logo.jpg” thumb_width=”150″ /]GP2U provide systems which helps to make remote consultations via video conferencing possible. According to yesterday’s press release HCF will run a pilot to “ensure the service is scaled to the wider HCF membership as smoothly as possible”. In addition to providing the video conferencing platform, [grow_thumb image=”http://telecareaware.com/wp-content/uploads/2016/01/GP2U-logo.png” thumb_width=”150″ /]GP2U also provides a prescription service that sends prescriptions directly from the GP office to pharmacy once the GP approves it. GP2U has agreements with three Australian pharmacy chains, Terry White Chemist, Chempro and Priceline. Tunstall Healthcare in Australia is adding an unusual (for telehealth) market with the National Home Doctor Service (NHDS), which provides after-hours home visits for urgent, episodic care. The NHDS’ 600 doctors provide one million patient visits in home, including calls on those living in residential aged care (assisted living), older adults and those with disabilities. Home visits (US=house calls) have the aim of reducing ED/ER visits which may require ambulance calls. NHDS coordinates records with the patient’s regular GP. Tunstall’s role is to provide on-call care consultants who coordinate NHDS services; they also match NHDS with the needs of current Tunstall clients. Australian Ageing Agenda Technology Review. Tunstall Australia release. The demand for telemedicine services in south western Queensland is reported to have tripled from 8 consultations a month [grow_thumb image=”http://telecareaware.com/wp-content/uploads/2015/06/Charleville-hospital.jpg” thumb_width=”150″ /]to about 35-40 following the appointment of coordinators who show patients how to use the service. The Queensland Government media statement issued last week quotes the coordinator at Charleville Hospital as saying 99% of people prefer the service to traveling to see a specialist face to face. The video link service connects doctors with patients from 2 rural hospitals and one district hospital in south west Queensland. These are relatively small hospitals with 24 to 39 beds and use Flying Doctors to provide some of the facilities such as surgery. Alternative for patients, say in Charleville, could be a 7 hr 620 km drive to Toowoomba or a 8 1/2 hour 750km drive to Brisbane to see a specialist for a 10 minute appointment. Politics, clinicians or demand holding back Australian digital health? The debate. A familiar debate raged at the Connect Expo Future Health Summit in Melbourne this week [TTA 15 Apr]. Is lack of digital health adoption due to lack of political push, as Lyn Davies, managing director at Tunstall Healthcare, maintained? Australia continues to back the Personally Controlled EHR (PCEHR) to the tune of AU$1.1 billion so far, yet it is still not integrated into the healthcare system. Are clinicians allergic to technology qua technology projects, and need to be approached differently to adopt digital health, as Donna Markham, advisor to chief executive affairs at Monash Health, said? Is it people–the patients– not seeing any benefit to things like PCEHR, a lack of demand filtering down to the practice level, per Toby Hall, Group CEO of St Vincent’s Health Australia? There is a certain comfort in the issues not being much different in a smaller, centralized health system (as the US is not–and as we’ve learned from ISfTeH, in Germany telehealth adoption is low). What seems to be missing is a perspective on what individuals are doing with their own health management and tracking outside the system. TechRepublic Hat tip to David Trainor of Belfast’s Sentireal on David Doherty’s mHealth LinkedIn group (signup required). Capita Healthcare Decisions is forming a partnership with Medibank, an Australian [grow_thumb image=”http://telecareaware.com/wp-content/uploads/2015/04/Capita-logo.jpg” thumb_width=”150″ /]insurance and healthcare company, according to a press release issued by Capita. One of the areas highlighted in the announcement is that Capita will provide its TeleGuide product which [grow_thumb image=”http://telecareaware.com/wp-content/uploads/2015/04/Medibank.jpg” thumb_width=”150″ /]Medibank has customised to the Australian market. Capita, with 68,000 staff, is a UK company providing process management and professional support services in the UK, Europe, South Africa and India and has a checkered history with UK Government health service contracts. Following our report earlier in the month on Telstra’s success in winning the Western Australia telehealth [grow_thumb image=”http://telecareaware.com/wp-content/uploads/2015/04/Telstra-Health.jpg” thumb_width=”150″ /]contract, Telstra announced the acquisition of UK based Dr Foster last week. Telstra has now announced that they are acquiring Medibank’s Anywhere Healthcare platform, further expanding its Telstra Health arm. Since 2013 Telstra has had exclusive access to Dr Foster in Australia and supplies Dr Foster products to several health services in Australia. Anywhere Healthcare is a middleman platform with specialists signed up to provide remote consultations and GPs signed up to use the services of those specialists. When a face-to-face consultation is considered not appropriate the GP can arrange for a remote consultation via Anywhere Healthcare. Typically, this has been used to date for patients in nursing homes. The current Anywhere Healthcare directory lists 30 specialists covering 17 specialties and it is reported that there are 1600 GPs signed up to the service. Telstra have stated that they expect to expand the service, particularly into rural patient consultations.